"After Thought" by Joey Fauerso. “Seeing the Unseen” presents works that are based on conceptual ways of approaching art, often strongly embracing materials, technology and other approaches. The four artists — Jesse Amado, Joey Fauerso, Riley Robinson and Chris Sauter — are Texas-based with a common connection to San Antonio’s Artpace. This exhibition was curated by David Freeman and is on display at the Brownsville Museum of Fine Art. The range of ideas and processes, not only among the artists represented, but also within certain artist’s individual collections, reflect the complexity of human perception. There is no overall system for identifying artworks, so it takes awhile to acclimate to the art. Amado’s and Sauter’s works are shown in separate spaces within the museum’s layout, while Fauerso and Robinson share a single gallery space. “Seeing the Unseen” acts as three separate shows, each with its own way of identifying works and providing information from the artist(s). While unique concepts form individual works, certain themes overlap between and among artists, such as our national culture, disparate familial themes, and deconstruction, creating subtle bonds from space to space. A material-based artist, Amado felt constructions and deconstructions effectively balance skill with concept and raises the status of fiber art. Reflecting the reality of action and consequence, the loss of circular shapes cut out for his pharmaceutically-inspired tablet-shaped work caused felt forms to limply be addressed by the force of gravity. 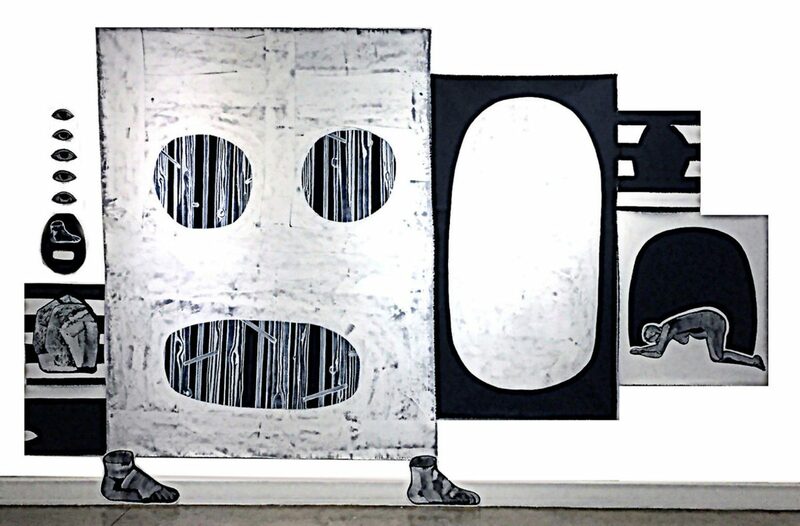 Chris Sauter’s work in the central gallery directly comments on our culture and involves artistic strategies such as the transformation of common objects into other recognizable objects, extreme scale shifts and the juxtaposition of disparate materials and images. In “There from Here,” material from a dividing wall has been used to construct a table. Binoculars on the table have then been fashioned from material removed from the table. In a purely visual sense, it relates to Amado’s deconstructed gravity pieces and Fauerso’s canvas. The installation, “Refinery and Family Tree Oil Deposits”, and the “Exploding Silos” paintings, comment on our consumer culture from unusual viewpoints. 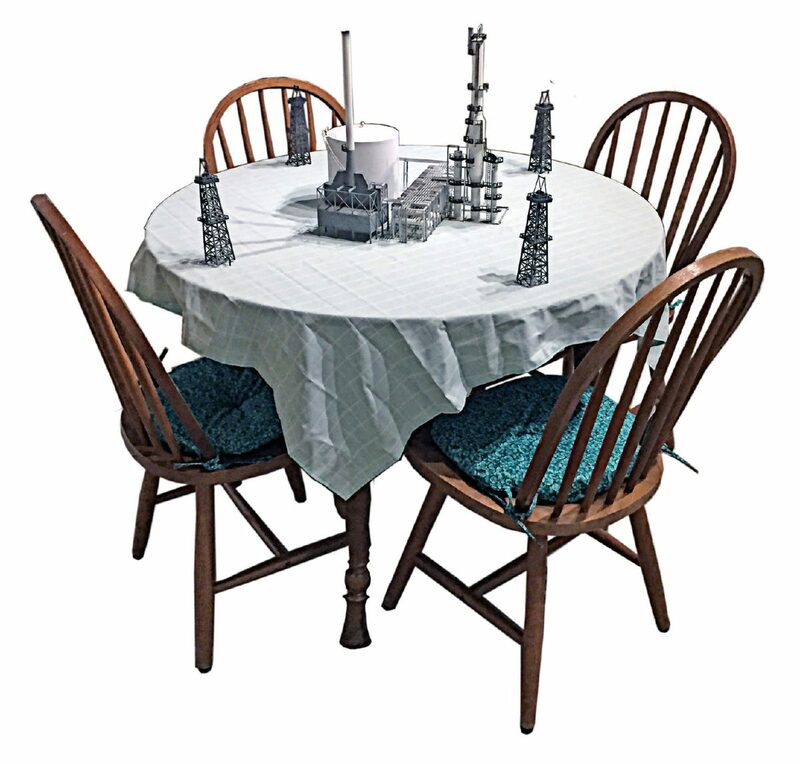 The installation shows servings of miniaturized petroleum structures on a small dining table set for four. Sauter explains that as a compressed form of ancient life, the oil we use (consume) is energy from our ancestors. 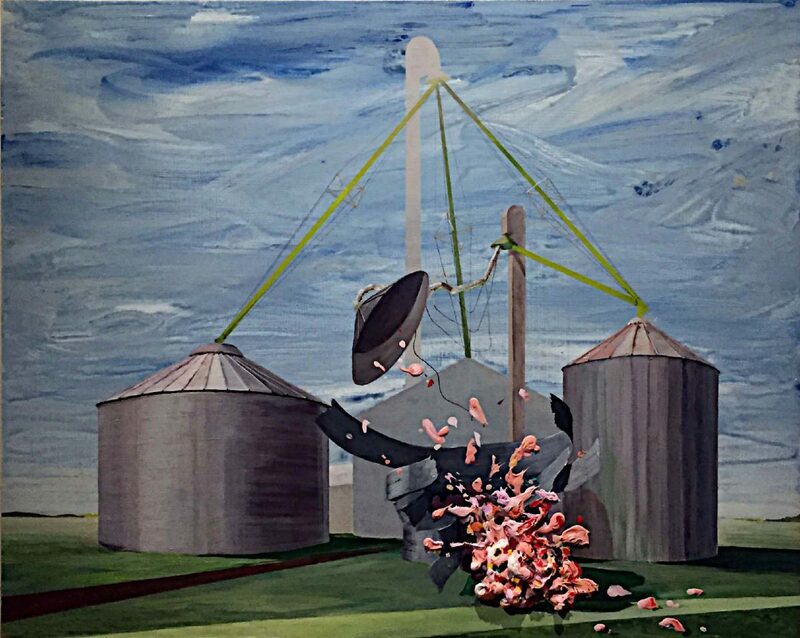 “Silos” speaks of an agricultural system at the point of consumer breakdown; gooey pink impasto explosions burst from grain silos with a substance suggesting the biological (human) underpinnings of agricultural systems. Fauerso’s and Robinson’s works, drawings, videos, installations, and sculptures, come from more intimate experiences, allowing easier viewer rapport. Partners in life and work, they share an interest in examining everyday themes of human experience. Fauerso’s single channel video, “Drawing Battles”, is hypnotically fascinating. The image, projected at floor level, consists of collaborative drawings reflecting a range of familial dynamics. Like a series of heated discussions, the drawings talk to, through, and over each other, with gesture and performance as the dominant means of expression. It’s easy to lose time in this piece. Childhood memories kickstart Robinson’s sculptures. Two monumental steel sculptures based on early pivotal memories use incomplete forms to explore the limits of perception and imagination. 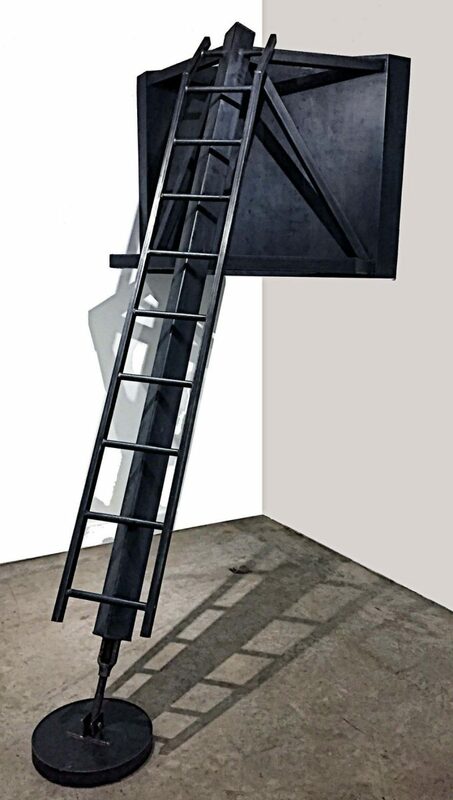 His sculpture, “L.E.M” revisits a scaled leg of the original Apollo 11 Lunar Excursion Module remembered through television coverage. His 35mm slide projection, “River Ride”, ignited my own memories of the dismal mechanics of operating slide projectors. Pay attention to the artist’s statements in “Seeing the Unseen.” Get inside these artists’ heads — then look at their art. Nancy Moyer, Professor Emerita at the University of Texas Rio Grande Valley, is an art critic for The Monitor. She may be reached at nmoyer@rgv.rr.com.